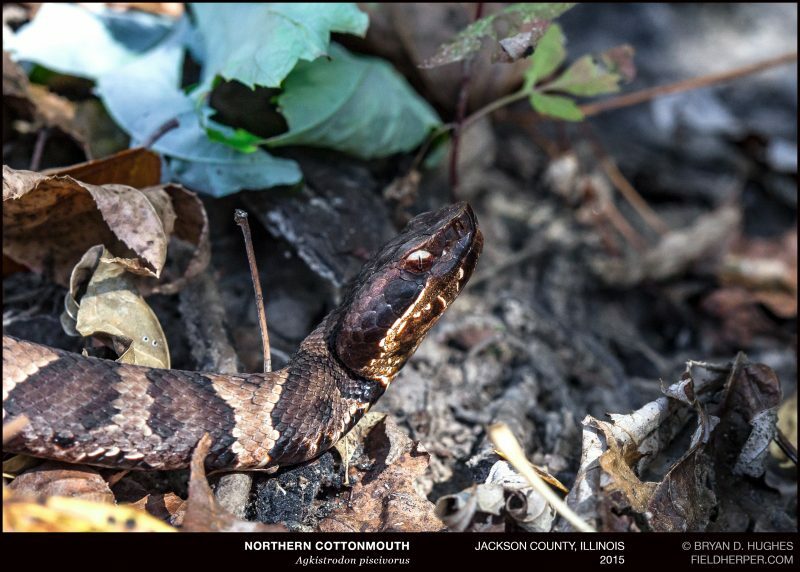 I had an opportunity to visit the famed “Snake Road” of Illinois last year with some friends, where I saw my first cottonmouth … quickly followed by 49 more over the next 2 days. Despite their reputation, they proved to be the easiest-going of any viper species I’ve seen, with the most defensive act being a mouth-gape. This entry was posted on Tuesday, January 3rd, 2017 at 4:25 pm	and is filed under Field Trips, Snakes. You can follow any responses to this entry through the RSS 2.0 feed. You can leave a response, or trackback from your own site.